Universal USB Car Charger Adapter is a very important thing in this era of technology. Nowadays, we cannot live even for two seconds without our smartphone. Everything from important contacts, mails to daily news are stored in our smartphone and life just feels so empty when our smartphone battery died. That is where the car charger adapter plays its role. It will make sure that we can charge the battery of any devices we had even when we are on the go. However, many people are still reluctant to use universal USB charger because they claimed that it damaged their battery and it took forever to finish one session of charging. Even though some people indeed experienced that problem, it doesn’t mean that universal USB charger is not effective. In fact, there are some ways to make sure that you get all the best advantage from this charger. If you haven’t put the adapter in your car, you really should do it now. But before that, here are some interesting things you should know about USB charger. The best thing about this car charger adapter is its versatility. 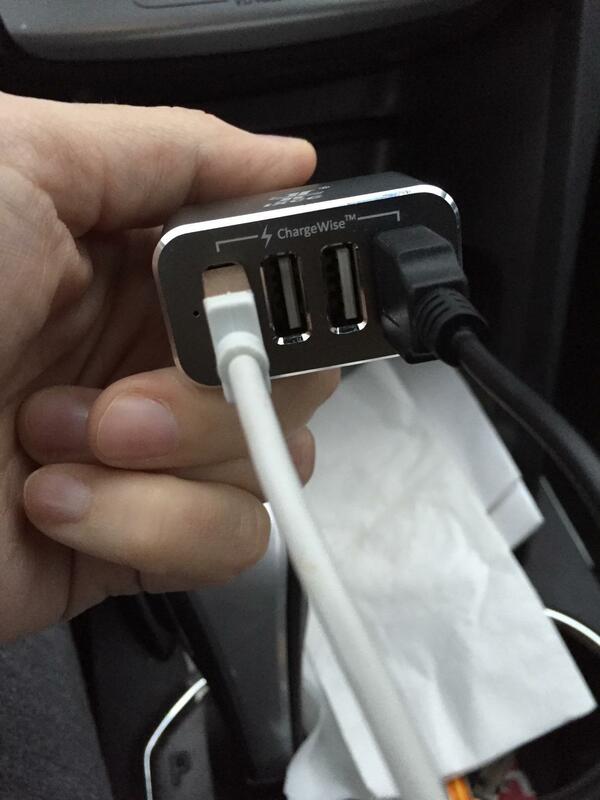 Simply stick it to the cigarette lighter, and you can charge every phone and other devices that support USB charging. With this universal USB adapter, you only need to bring one or two USB cable that supports your device and you can leave all the other chargers at home. Many people gets surge of anxiety when their smartphone battery is nearly died. Without a charger adapter in your car, you will need to pull over to find a place to charge your smartphone and sometimes it is just not a feasible option. Providing a USB car charger adapter in your car will take all those hassles away and as long as your car has enough power, you will never run out of battery again. Even though all USB port is the same, the quality of the universal USB car charger adapter can vary so you need to be careful when you make a purchase. Here are some things you should consider when choosing a charger. The first thing you need to find out from the charger is the amps. The cigarette lighter hole is capable to flow high amount of electricity power. But it will mean nothing if the charger doesn’t have good amps. The amps will determine how many power your device will receive during the charging session. Device nowadays are very power hungry, especially Apple devices. If the amps is too low, your device will be charged very slowly, or worse cannot be charged at all. It is always best to go with the higher amps, especially if you have power hungry device and more than one USB port. USB charger adapter is very small even if it has more than one port. So, why settle for the less if you can get more ports without sacrificing anything? With multiple ports, you can charge more than one device at one time which will be very beneficial if you have many devices or you often ride with your family. Just make sure the charger has enough amps so it has enough power to charge all your devices. The adapter is important, but the cable also plays a very important role. No matter how tempting it is, avoid cheap cable and always use high quality one. Some USB cables are specially made to be used in computers. It cannot distinguish the power source and will always recognize the wall socket and car charger as computer’s or other device’s USB port. When it happens, you will only get limited power and it will take very long to complete one charging session. This Belkin USB charger adapter comes with 4 feet high quality removable cable that will give you a lot of room to move. With 2.1 amps, it is compatible with most devices and can charge power hungry device very well. Since the cable is removable, you can use it not only for charging but also syncing. This adapter comes with two USB ports so you can charge two different devices in the same time. The best thing about this product is it can recognize how much power each device needs so the power from the charger will be distributed properly. It can provide 2.4 amps for each device you charge so the charging speed is really excellent. Even though the price is slightly more expensive, this product is worth to buy because it has 3 USB ports in a very compact size. This is a good adapter to be used in family car since the adapter comes with long cables so you can put it in the middle of the car where every passenger can easily reach it. It is clear that we can get so many advantages from universal USB charger. With this simple tool, you don’t have to worry when your smartphone battery died while you are on the road. You don’t have to hop from one place to another only to find a charger. Simply connect your phone to the charger adapter in your car and everything is set. Just make sure you choose the best model in the market so you can make the most out of the universal USB car charger adapter. Below are some sample of universal usb car charger (compatible with all gps brands) that we can find in popular online store (amazon.com). We collected price data manually, so for the updated data please visit amazon.com. if you looking universal usb car charger adapter for iphone with brands like ecomgear, hipstreet, targus, belkin, aukey, tomtom, and insten. You can check it out by search it on amazon.com.